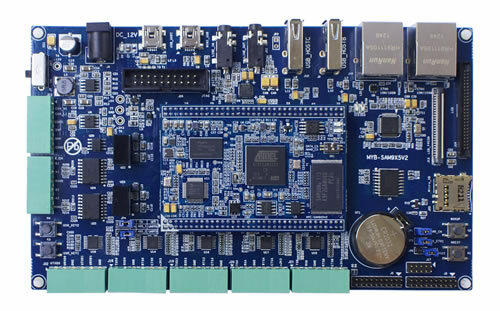 Measuring only 72mm by 50mm, MYIR’s MYC-SAM9X5-V2 series CPU Modules are highly-integrated low-cost controller boards for industrial and embedded applications. 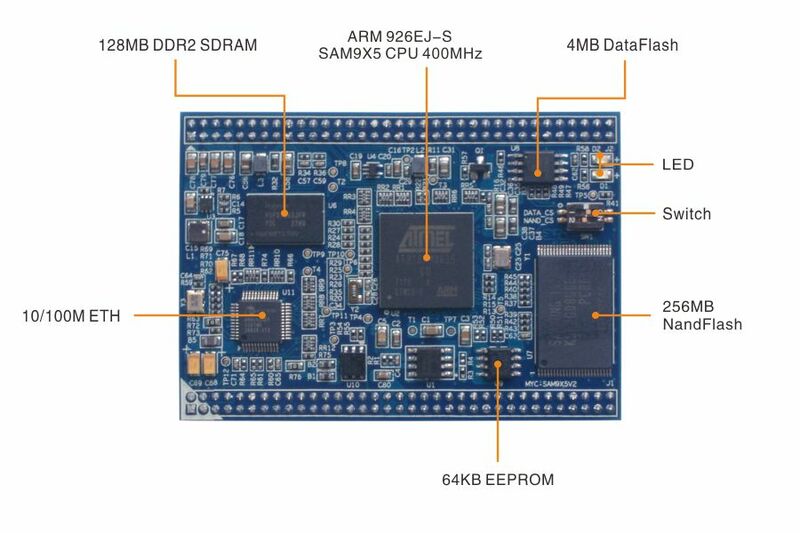 The modules are based on 400MHz Atmel AT91SAM9x5 series ARM9 processors: SAM9G15, SAM9G25, SAM9G35, SAM9X25 and SAM9X35. The modules include 128MB DDR2 SDRAM, 256MB Nand Flash, 4MB Data Flash, 64KB EEPROM and Ethernet PHY. 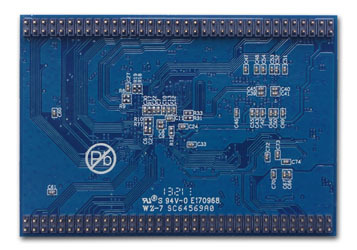 They have two 2.0mm pitch 70-pin connectors to provide an interface to bring out all the I/O signals from the CPU Module. They are Linux and Android ready-to-run modules and support -40 to +85 Celsius Extended Temperature Operation for Industrial Applications. 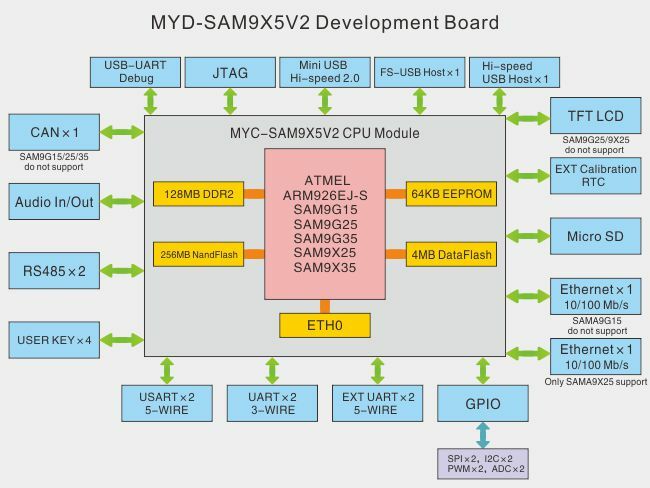 The MYC-SAM9X5-V2 modules come with Linux 2.6.39 and android 2.3.5 software packages, MDK-ARM sample codes bundle as well as document to support customers’ development. 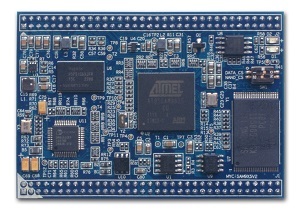 They are ideal controller board for your next embedded design. MYIR has designed a commonly-used base board for the MYC-SAM9X5-V2 series CPU Modules which has extended most peripheral functions of the CPU by headers and connectors. The development platform is called MYD-SAM9X5-V2 development board, it is ideal for user evaluation and prototype. User can also create their own applications on this board and use it directly for their final products. Note: The resources brought out from the expansion interfaces may be multiplexed with others. 2. 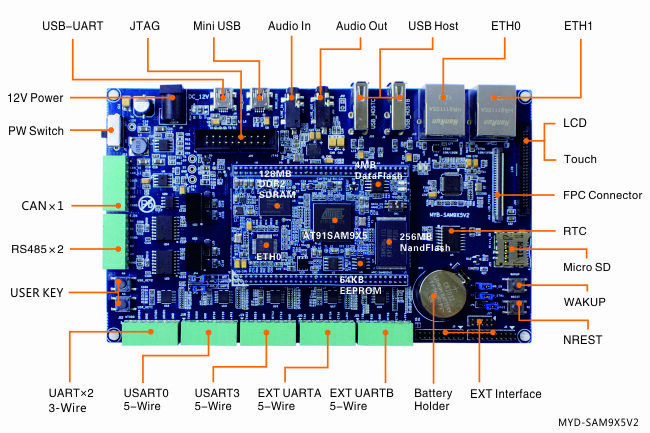 The board is delivered with above configurations by default. If you need other CPU, RAM or Flash configurations, please contact MYIR for availability.